Ultra-marathon runner Zahra Ashrafi (above) is running again to raise funds for OMID in the Antelope Canyon 100 Mile Race and also The North Face Endurance Challenge. She is running to raise funds for OMID’s sports actvities. All sums raised will be used for funding the mountain climbing and running program at OMID (operating costs, outfits, equipment). At OMID we believe that exercise plays an important role in emotional health. Through exercise and team activities the young women at OMID learn to trust and depend on each other and they develop decision-making and leadership skills. 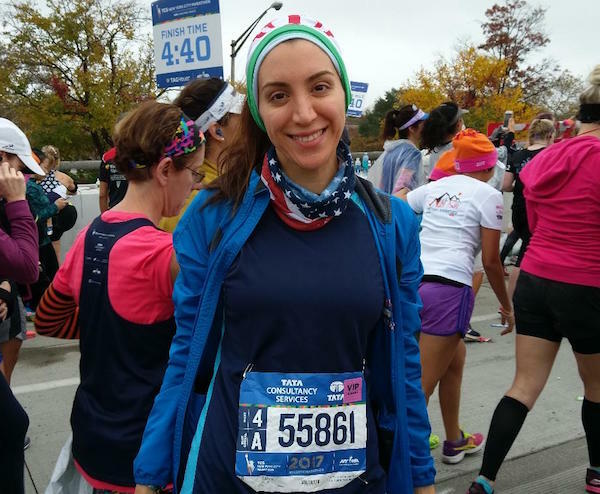 Last year Zahra ran two back-to-back 50k ultra-marathons in Antarctica and Chile to raise funds and awareness for OMID, took part in the first women’s race in Tehran and ran a 10k with twelve young women. Along with their trainer Mahsa Torabi, Zahra was a true inspiration to these young women, and they to her. Please support this fundraiser today.